We know you’ve already heard about the Kilauea volcano erupting in Hawaii this month and you might have seen images of the phenomenon, but what does that mean for people’s travel plans? The aloha state is saying all islands are open for business, including the island of Hawaii. Read on for a full explanation of how the volcano has impacted the state along with airport, hotel, and park updates. The Hawaii Tourism Authority is reminding people that tourism is the state’s largest industry and is reassuring travelers that it’s open for business. 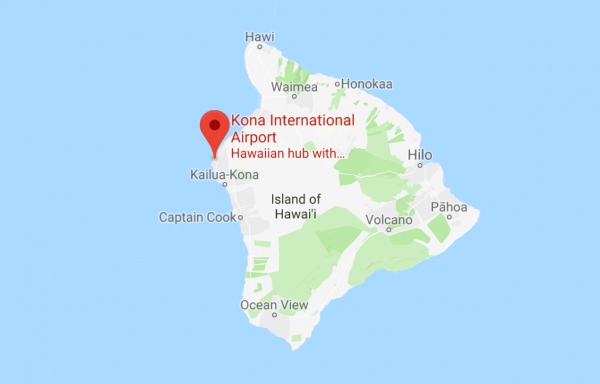 Every airport in the state including the island of Hawaii’s Kona and Hilo airports are operating normally as well as all accommodations and attractions. However, two-thirds of the Hawaii Volcanoes National Park is closed until further notice. Air quality has remained well besides where the volcanic activity has taken place. Officials are continuing to monitor the quality and provide updates. Update: Hawaii Volcanoes National Park reopened on September 22nd. 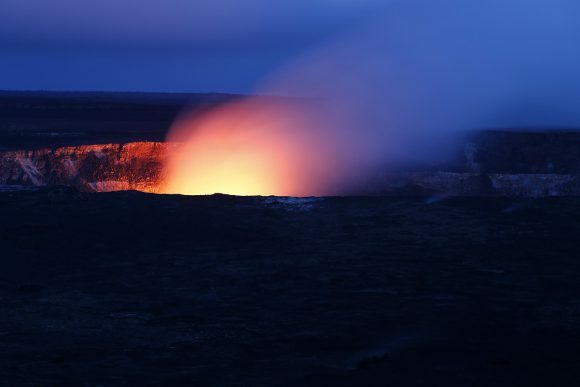 However, “public access to the volcano remains limited because of damage to its infrastructure and there will be one-third fewer parking spaces, but visitors can look forward to new ground cracking, sinkhole formation, and the dramatically reshaped Halema’uma’u crater.” Travel Market Report. Overall, the other islands have remained unaffected by the volcanic activity as well as the majority of the island of Hawaii. It’s 4,028 square miles and the affected area in the East is less than 10 square miles. To get the clearest picture of what’s happening in Hawaii, we need to know how the state is setup. There are six major islands: The island of Hawaii (Big Island), Maui, Molokai, Oahu, Kauai, and Lanai. The island of Hawaii is the southernmost island with Kauai being the northernmost in the state. 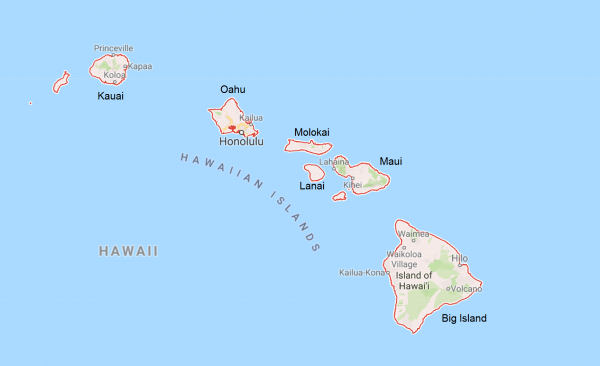 The island of Hawaii has two international airports. There is one on each side of the island: Kona International on the West coast and Hilo International on the East. A little over 77 miles lay between the two airports. 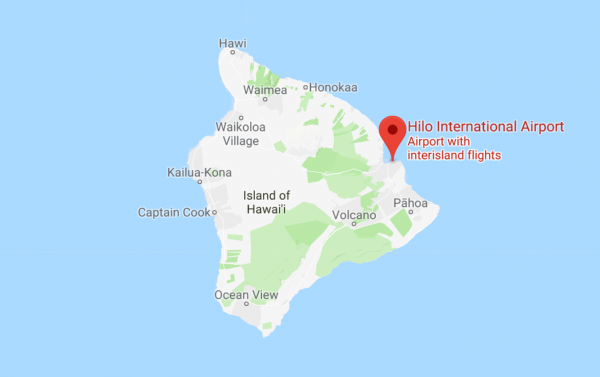 There is at least one airport on each island, but the Lanai Airport and Molokai Airport don’t offer direct flights from the mainland; travelers must first land in Honolulu on Oahu to get to either island. The majority of accommodations on the island of Hawaii are in Waikoloa and Kona which are located on the West coast of the island. We provide 28 total properties on this island and 17 of them are located either in Kona or Waikoloa. 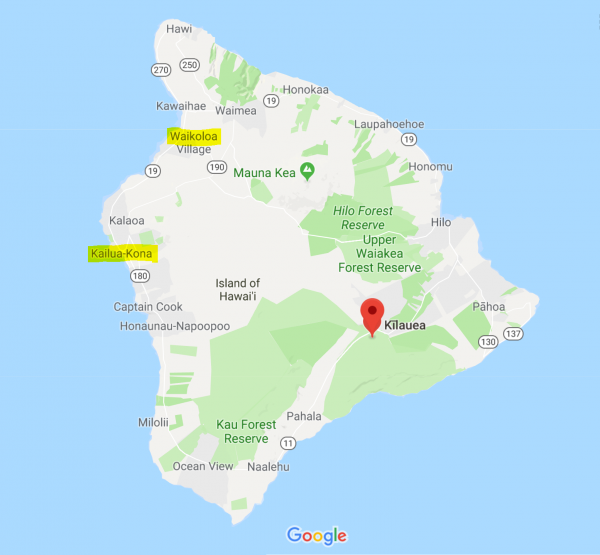 The red mark on the map above is where the Kilauea volcano is located. It’s a part of the Hawaii Volcanoes National Park. The fissures occurred in Lower Puna where it says “Pāhoa” on the map. Thankfully, there have been no fatalities as of the date of this publication. For the most current updates, please refer to the Hawaii Tourism Authority’s website. I would like to know if travelers can fly into Oahu and see Pearl Harbor, stay two nights, and then Island hop to Maui for three nights, does fun jet travel company arrange trips like this? Is there any discounts due to the Volcano eruption? ← Feel-good getaways: These resorts give back.